Students will write their second body paragraph. Each paragraph will include a topic and concluding sentence, transitional phrases, and a sequence of events of the second stage of digestion. The second stage of the digestive system happens in the stomach.First, the bolus enters the stomach.Next, the stomach’s walls create chemicals that breaks down the bolus into nutrients.Then, the muzzles in the stomach’s walls squeeze and repeat over and over.This help mix the bolus and the chemicals together.After about four to six hours, the food becomes a thick, mushy liquid.The second part of the digestive system is performed in the stomach. In the second stage of the digestive system food begins in the stomach.First,the bolus goes to the stomach.Second,the walls of the stomach make substances that breaks the bolus more into the nutrients.Third,the muscles in the walls of the stomach squeeze and relax over and over.Finally,after four to six hours of squeezing and mixing the bolus goes to the next digestive organ.The food goes to the stomach in the second stage of the digestive system. The second stage of the digestive system continues in the stomach. First, the food enters the stomach. Second,walls of the stomach will produce some chemicals that simply just break down the food into nutrients. Next, muscles in the walls of the stomach rapidly squeeze and relax the bolus over and over again this allows the bolus to mix with the chemicals. Finally, in about four to six hours the bolus will be a thick and soupy liquid. In, the stomach is where the second stage of the digestive system continues. The digestion system begins in the stomach. First, the walls of the stomach produce chemicals that break down the bolus further into nutrients. Next, the muscles in the walls of the stomach and the squeeze [contract] and then relax overand over. Then, the muscle action mixes up all the bolus with the chemicals. Then after 4 of 6 hours of squeezing and mixing then the bolus has become a thick and soupy liquid. The liquid then moves into the next digestion organ. The digestion system starts in the stomach. The second stage of the digestive system is when the bolus becomes a thick liquid. First, after the bolus enters the stomach, a chemical, produced by the walls of the stomach, is added. Second, the stomach squeezes and relaxes, repeatedly for 4 to 6 hours. Next after contracted and relaxed for several hours, the bolus has become a thick, soupy substance. Finally,the liquid carries on to the next organ. When the bolus becomes a soupy substance it ends the second stage of the digestive system. The second stage of the digestive system takes place in the stomach. First, chemicals break down the bolus into nutrients. Next, the muscle of the stomach squeeze and relax. Then, the muscle actions mix up the bolus and chemicals. Finally, after four to six hours of squeezing and mixing the bolus turns into liquid. The digestive system happens in the stomach on the second stage. The second step in the digestive system begins in the stomach. First, the bolus enters the stomach. Next, the stomach walls make chemicals that break down the bolus. Then, the stomach muscles squeeze (contract) and mixes up the bolus with chemicals. Finally, it takes four to six for the bolus to become liquid then go to the next organ. The second step in the digestive system is in the stomach. The second stage in the digestion system happens in the stomach. First, bolus enters the stomach. Secondly, the walls of the stomach produce chemicals that break down the bolus further into nutrients. Next, muscles in the walls squeeze and relax over and over. After about 4 to 6 hours of squeezing and mixing, the bolus has become a thick, soupy liquid. The second step of digestion accures in the stomach. The digestive system’s second stage is launched inside the stomach. First, the bolus slides into the stomach. Next, chemicals inside the stomach breaks the bolus down into nutrients. Then, muscles in the stomach walls squeeze and relax repeatedly to mix the bolus together. After mixing for four to six hours the bolus becomes a thick liquid. Finally, the bolus then moves on to the next organ. It is inside the stomach that the second part of the digestive system is put in motion. The second stage of the digestion system begins when the bolus enters your stomach. Your stomach is an organ that has muscular walls and is digestive. First the stomach walls produce chemicals that break down the bolus into further nutrients. Second the walls muscles squeeze and relax over and over again. Then the action of the muscles mix up the bolus with chemicals. After four to six hours of squeezing and mixing, the bolus become thick soupy liquid. Finally the liquid then moves into the next digestive organ. Once the bolus enters your stomach the second stage of the digestive system can begin. The second stage of the digestive system happens in the stomach. First, the bolus enters the stomach and with muscular walls the digestive organ produces chemicals that breaks into bolus and further into the nutrients. Then, it squeezes the stomach (contract) and relaxes over and mixes up the bolus for four-six hours squeezing and mixing bolus becomes thick soupy liquid then it moves on. The digestive system occurs in the stomach. The second stage of the digestion system is about the stomach. First, the bolus goes into your stomach. The stomach is a organ. The stomach walls produce chemicals that turn the bolus into nutrients. Next, the muscle mixes up the bolus with chemicals. Finally, after 4 to 6 hours squeezing and mixing bolus it becomes thick juicy liquid like soup. Producing a paragraph on the stomach is helpful. The second stage of the digestive system is when the bolus is in your stomach.First,the bolus will enter in a digestive system witch has strong walls inside your stomach.Next,The walls inside your stomach predouce chemicals to brake down the bolus in nutrients.Then,the muscle inside the walls squeeze to mix up the bolus with other chemicals.Finally,around 4to6 hours the bolus looks like a thick creamy soup.In the second stage bolus becomes a thick creamy soup inside your stomach. The second stage of the digestion system begans at the esophagus. First, the walls of the stomach produces chemicals. It breaks down the bolus futher into nutrients.Next, muscles in the walls from the stomach squeezes, contract, and relax over and over again. Finally, the muscle mix up the bolus with chemicals. In the esophagus going to the stomach of the digestion system is the second stage. 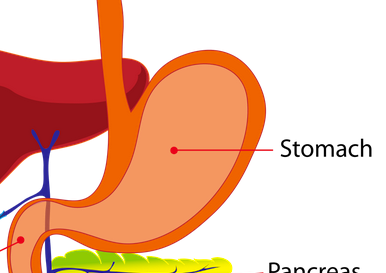 The stomic is inmportent to your digestive system beacuse if you dont have it you cant eat. Also it is inmportent beacuse you need it to eat. Also it helps you for it can go somewhere els. And that is why the second stage is inmportent. The 2nd paragraph is about the stomach.First,the bolus enters the esophagus into the stomach.Second,the walls in the stomach produce chemicals.finaly,the muscle in the stomach mixes up the bolus.The stomach is very important to our body it helps us digstive our food. First the blodus enters the stomach. Second the stomach is your digestive organ inside your body. Next how the stomach works is that when you eat a apple that food gets in your teeth. Then your tounge swallows the food. Then it gets through your pharnx then in your esphagus then goes in your stomach then the boldus entering your stomach. Frst stag of the digestiv systum stars in your moth. Frst The food will git ript with your frunt teet.Next your back teet will crus and grind the food.Then your tung will rap your food in to a bolis and your silivu will be adid so the bolis will be sofet enuf to swalo.Finaly the bolis gos dwon your soofigist.The digstiv sistum/stars inyour moth.